Eleaf iStick Pico 75W TC MOD will surprise you with its remarkable performance.Powered by single 18650 battery,can support 6 different control modes,it will definitely bring you excellent vaping experience. Eleaf iStick Pico 75W TC MOD surprised most of the vapors when first came out, well most of them wouldn’t be expecting that a TC box mod can be so small. Some people even think of it as a mechanical mod. It might be small, but as a TC mod, Eleaf iStick Pico 75W TC MOD will surprise you again with its remarkable performance. Powered by single 18650 battery, its length is just bigger than 18650 battery, but this tiny mod can support 6 different control modes which are VW/Bypass/TC-Ni/TC-Ti/TC-SS/TCR Mode, it will definitely bring you excellent vaping experience. The most important thing about this mod is that you can bring it with you anytime, so easy to carry, replaceable 18650 battery is much more convenient for you to use. At last, there are 14 colors for you to choose, there must be your favorite one. • 510 thread, compatible with 510 threaded atomizers/tanks. • It is recommended that you use Eleaf Melo 3 mini atomizer with this iStick Pico MOD. Arrived quickly, the mod is authentic, and the finish looks good! Everything perfect, fast shipping, item was in the original packaging. I like to shop at buybest, they often have sale prices. Their original prices are not high. This one is original, I have checked. It's easy to carry this Eleaf istick mod everywhere,the 18650 battery is very convenient to replace. This eleaf mod suits me most, I often use 40w and this 75w mod can meet my demand. Besides, the mod was packed closely and safely, there were no any blemish when arrived. Great job, buybest.com. I'd come again. As a noob, I am very satisfied with this istick pico mod, so easy to use, and the small size makes it perfect for one hand operation. Many beautiful colors for options. I am 100% satisfied with this purchase. So many color choices of eleaf mod. I like eleaf series, often have a range of choices, in colors, specifications. Good vape, cheap price, thanks, buybest! I love the outfit of the it, but it doesn't mean it's not powerful on the inside. Nice hand feel, the istick pico has cool hand feel, easy to press the fire button. Дизайн мне понравился, в руке лежит очень удобно, а также возможность установки аккумуляторов как 18650 так и 21700. Have been using it since received the package. Three weeks have past, my istick pico still works great. Worth to buy, guys! This is absolutely the best vape I've used so far, I love the neat design, rich colors, and simple operation. 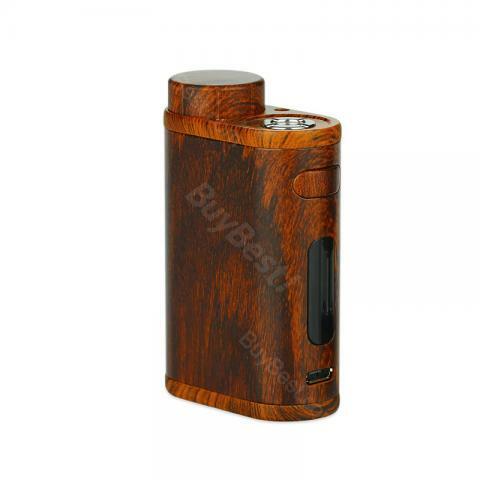 You won't go wrong with this pico mod if you are a beginner and don't know what to start with. The flash sale prices are really low, much lower than other online stores. I got this eleaf pico mod with about twenty dollars. I bought the Eleaf Melo 3 mini atomizer and Eleaf iStick Pico TC Box MOD,best vaping experience. The 2nd mod I took on buybest, I'm always the fan of eleaf, you are allowed to just put it in your pocket. Won't you say it's the perfect size, so happy with it!